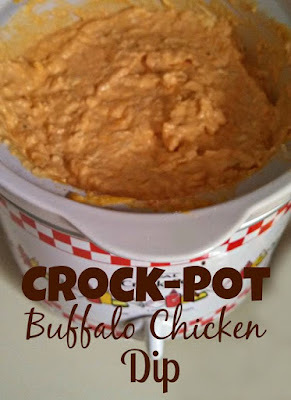 One Momma Saving Money: Crock-pot Buffalo Chicken Dip #Recipe - Perfect for watching football games! Crock-pot Buffalo Chicken Dip #Recipe - Perfect for watching football games! Perfect crowd pleaser for parties, get togethers, football games and more!